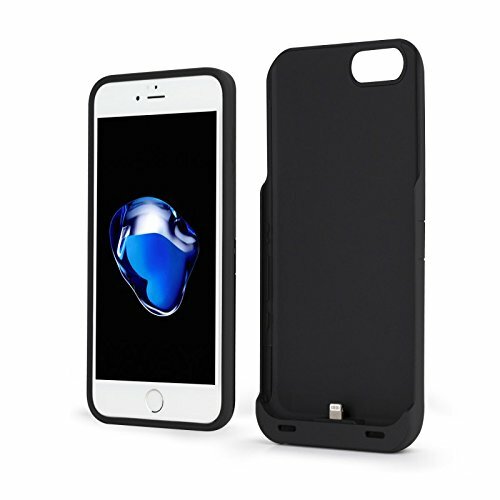 Keep your Apple iPhone 7 or 8 charged with the TYLT ENERGI slide off battery pack case. The sleek and innovative 2-piece design offers the best of both worlds. You can use the dual-layer protective inner case by itself or slide on the battery pack for a charging boost on the go. Whether you're running around the house or getting off the grid, this phone case makes it easy to travel. Unlike most external batteries, the TYLT ENERGI charger is built into your phone case. There’s no hassle with cords and no unmanageable bulk. The full case still fits in your pocket. With a 3,200mAh capacity and a 2.1A output, the rechargeable slide off power sleeve offers multiple charges per use and restored battery power in minutes, even when you’re miles from an outlet. The TYLT ENERGI case is intelligent and speedy. When your phone reaches 100%, the battery automatically stops charging, saving power for later. And when you need juice fast, the integrated external battery can bring your phone up to 65% power in just 60 minutes. With that kind of quick charge, you can ditch the extra bulk and just use the slim protective case. The thin, dual layer protective case has a raised beveled edge that helps to prevent scratches and dents, protecting your valuable cellular device from the rough, daily use that phones often see. Sleek black and a smooth matte finish look professional and stylish. We offer a one year warranty that covers any performance issues or damages to the case so you don’t have to worry about your favorite gadget getting. We want you to use your ENERGI phone case for as long as possible.